Since their invention in 1888, contact lenses have had their fair share of naysayers, accompanied by various myths and misgivings. Today, contact lenses cater to a wider, more receptive audience. However, some misconceptions about the optical innovation remain. Guilford Eye Center aims to shed light on what is fact and what is fiction regarding contact lenses. This is physically impossible. Your eyes have a thin, clear membrane called the conjunctiva which covers the white portion of your eye and extends all the way into the inside of your eyelids. There simply isn’t any room for your contact lenses to get lost in your eye. However, your contact lenses can slide up further than usual. When this happens, you may use the lens solution as a lubricant. That, or you can just blink rapidly until the contact lenses fall back into place. While it’s true that you may develop eye problems, these issues will not directly be due to wearing contacts. Contact lenses may cause dry eyes, but this syndrome can easily be managed via LipiFlow® treatment. The actual process of putting contact lenses in your eyes can be initially difficult, especially for first-timers. The trick is to relax and follow the instructions that came with the lenses. Once you’ve gotten the hang of it, wearing contact lenses should be a breeze. As for the issue of discomfort, allow yourself some time to adjust to the sensation of wearing contacts. You may consult your optician for the most comfortable option suitable for you. This isn’t true. 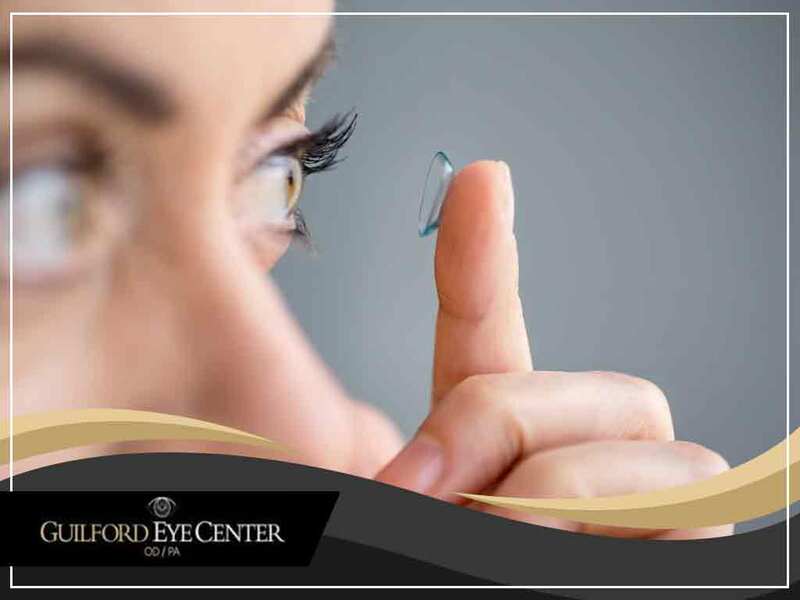 A quick visit to your preferred eye care center will show you that contact lenses are available in a wide range of uses, colors and price points. Whether it’s for corrective or cosmetic purposes, contact lenses can enhance your eye health and overall wellbeing. Don’t hesitate to consult your optometrist about any reservations you might have about wearing contact lenses. Turn to Guilford Eye Center for the best eye care services and products in the area. You may call us at (336) 387-6777. We serve High Point, NC.